Are you ready for a brand new year of math journal Sundays? I am so excited!!! I first want to thank-you for your response to my Interactive Math Journal resource - the response has been overwhelming (in a good way). My math journal was the #4 top seller for TeacherspayTeachers last week, and the comments you have given me there and on my blog have been incredible. Thank-you SO much! So, onto our brand new year. For those of you that don't know, I teach at a small school, so my grade 5/6 class has all the grade 5 and 6 students in the school. Therefore, I have each grade for two years. Because of this, I have to keep things different each year (don't want to bore those kiddies). When I pulled out the notebooks and told the class we were going to do math journals again this year, my grade 6 students actually cheered. They told the grade 5 students how cool they were, and how much they were going to enjoy them. LOVE. I told my grade 6 students that many of the concepts we cover in our math journals will be the same this year, but we will be taking a different spin on them, and creating new interactive tools. We've only been back at school for 4 days - the first day was a fun, welcome to our class kind of day, and on Friday we had a School Spirit assembly during my math block. So, we only had two full blocks of math class this week. (Sidenote: the way I've worked my schedule this year gives my a 100 minute block of math first thing in the morning 4 days a week. On the fifth day we have a 60 minute block in the middle of the day). This week has just been about setting up our journals (we have also been reviewing operations and basic skills during the rest of our math blocks). 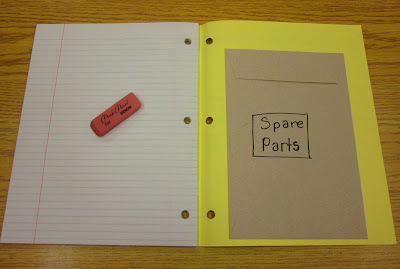 We are using plain old 3-hole, lined notebooks for our journals (80 pages). 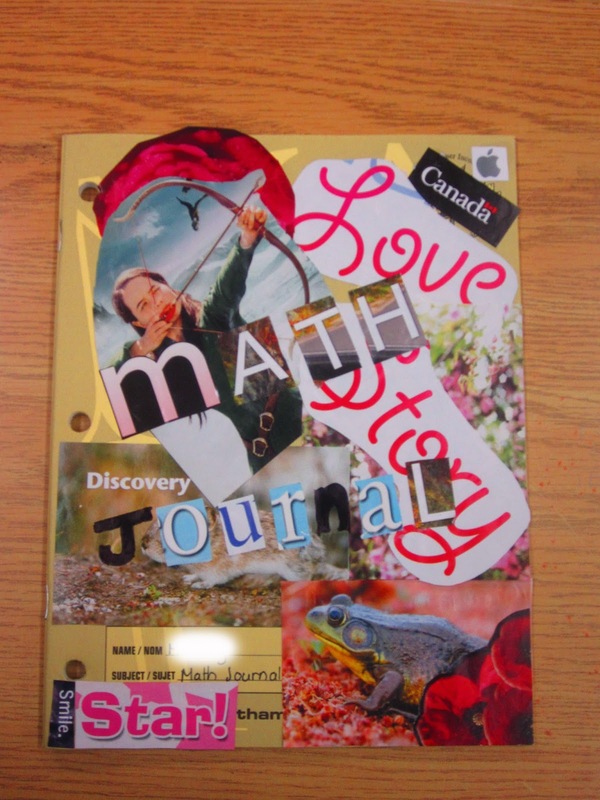 We spent part of one of our classes decorating the covers of our math journals. 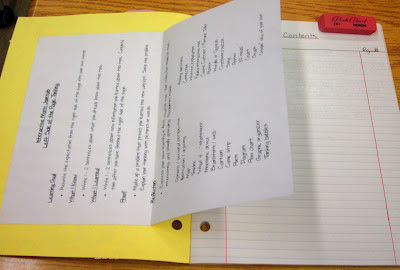 I want students to take ownership of the journals, and make them something they're excited to see. I let the students decorate them by creating collages with pictures and words from magazines. I did ask them to include the words "math journal" somewhere on the cover. Just before the end of the day on Friday we quickly covered our journals with a coat or two of mod podge. This will (hopefully) keep the images from coming off. The students will keep their journals in their math binder, so they do have some protection in their desks. We also began setting up our journals this week. I showed them pictures of "left-side of the page thinking" and we reviewed the handout I created for my interactive math journal resource. We glued this sheet into the front cover for easy access. 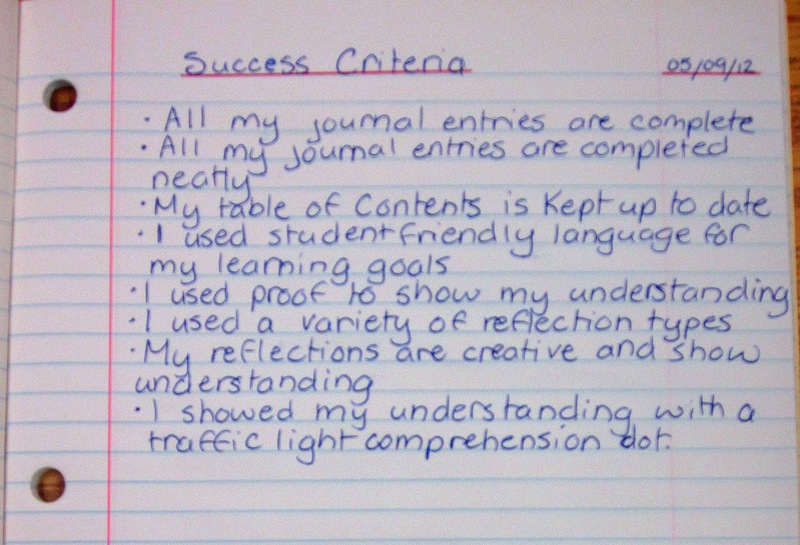 We also created a set of success criteria for our journals. Our school board recommends that we co-create success criteria with our students (again, for that ownership), so after looking at the checklist assessment (in the interactive journal resource), we created our success criteria. We wrote this on the first page (after the table of contents). We glued an envelope to the inside of the back cover for spare parts (for those days we don't get our interactive tool finished, or to keep some of our cootie catchers in). That's about it - I like that we took our time setting up our journals. I can't wait to share a brand new year of journals with you. I started mine too! I spent an entire period just getting things set up! We glued ribbon on the back like your spoke about. The kids are really excited. I am using spiral notebooks that I got at Staples. I hope they last longer than last years! Thank you for the valuable resource Jen! 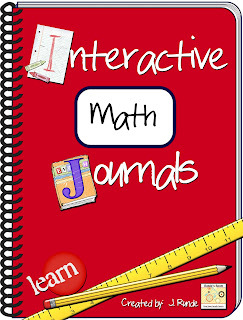 I look forward to using your Interactive Journal materials! You make my life easier! I can't wait to get started on mine this week just bought your package from TPT. Went and bought spiral notebooks from Staples. Starting with Shape and Space unit first so we will see how it goes. I live in Brazil and I'm a teacher at a 4th grade class at one school in the morning, and at 5th grade at another school in the afternoon. Yes, it's a really hard work. I found your Blog at Pinterest just today and I'd like to start this project with my classes of 2013, (our school year begins in January, so we are just near the end of it now), but I can't buy it, instead I have to translate it all to portuguese and adapt it to our curriculum. How could I access your material? These look absolutely amazing, and noticed how fast they shot to the top on TpT! Can't deny a great product!!! 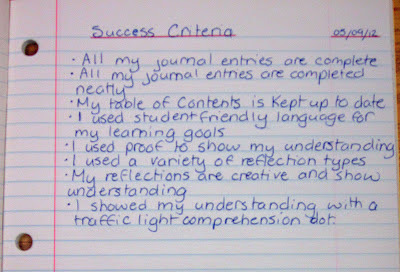 I love how you set them up and have students write out their success criteria, this is an amazing idea! Thank you so much for sharing!! I really like the "spare parts" envelope. There are always those extra little things in the manipulatives that just don't get glued on during the lesson. Perfect thinking, Jen, to have a place for them to go. I can't wait to start mine this week! I did some diagnostic testing last week and started our math calendars! I can't wait to use your interactive notebook! I just love your Blog! I have a grade 5 up in Sudbury Ont. and have been using a math journal for a few years now. I just love your take on it (now that i have been using the learning goals, or résultat d'apprentissage, and criteria more frequently) and can't wait to try your right side/left side idea. Your Blog is very inspiring and I am anxious to use many of your ideas in my classroom. I too am just starting Math Journals this year! I purchased the templates and am so thankful for them. I have decided to use a poly folder with prongs. This way there are already 2 pockets inside. The folders hold as much as a typical spiral bound notebook and I hope they are more durable. I have also included a sheet protector page. This way I can put different pages in them them as we work on new concepts. It also allows students to use dry erase markers to "practice" proofing their problems before actually writing. My sister-in-law teaches 5th grade and I homeschool 4 kiddos. We love your blog! We just bought your math journal! What a GREAT packet! I love your math journals! I wanted to let you know I gave you a shout out on my blog for your FABULOUS Length of the School Year activity. I just completed it with my class and they loved it. I also started Math Notebooks this week, so I'll be checking in on Sundays to see what you have been up to! I am lovin your blog! I just got moved to 5th grade this year, and am starting to experiment with the math journals so your resources have been very helpful! I have a question for you: How do you structure your math grading/assessment? Do you give weekly assessments, as needed, etc? Do you give daily practice work? My district is now all standards based and I'm struggling a bit with how I want to structure and record math practice work and assessments. I would love to see a post from you on how this looks in your classroom! Unless there already is a post, and I just didn't find it.... Thanks again for all your awesome ideas!